Why I was so mad at Oprah I wouldn’t even watch her show. There used to be a time in my life where I blamed others for things that were going wrong in my life. My parents, my teachers, my classmates, my ex-husband, my employer, my coworkers, and yes, even Oprah Winfrey! 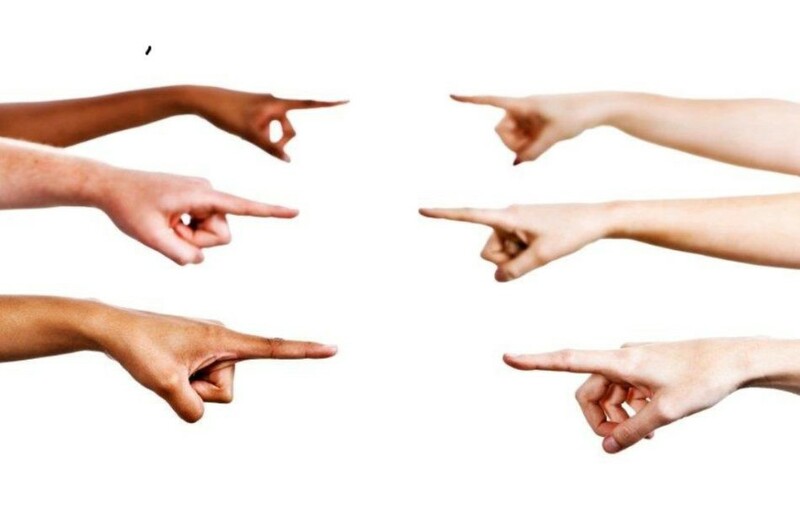 Let’s be real, blaming others for the things that happen to you in your life is easy, but blame gets you nowhere! While blaming others might temporarily help you avoid facing your circumstance, it does not alleviate the issue or solve the problem. Instead, blaming others can turn you into a life-long victim, keeping you stuck, stagnant, and unable to move forward in your life. In many cases, it can even keep you from reaching your full potential and accomplishing your goals. My junior year in college, I ran into a financial hardship. I was a young mother with few options and desperately needed money to continue my education. I did everything I knew at the time to stay in school and to try and come up with the money I needed. I tried to get a loan and additional financial aid. I begged the school to let me stay. I turned to my family for financial support, but no one was in a position to help. So finally, I wrote a letter to Oprah Winfrey asking for assistance or for her to share my story with others who could possibly help. Having had my first child when I was 16 years old, I managed to remain an honor student and graduated third in my senior class. I was senior class president and president of the National Honor Society. Even when my guidance counselor told me that attending college was no longer an option because I had a child, I knew that I wasn’t going to let that stop me. I had my heart set on attending Howard University since I was in the sixth grade. I applied and was accepted. I was the first person in my family to attend college and I took my daughter with me. I was convinced that if Oprah heard my personal story, she would see how hard I worked to get into college despite my circumstances, and she would help me stay in school. Unfortunately, nothing I tried panned out and I eventually had to drop out of college. I was angry and bitter. I felt like I was in an impossible situation and that everyone had let me down, the University, my family, and, especially, Oprah. I believed my life was over and I fell into a deep depression that lasted for several years. When I think back now on how much time I wasted sulking, feeling sorry for myself and blaming others because I had to drop out of college, its laughable. Seriously, I was so mad at Oprah that for years I wouldn’t even watch her television show. Yes, it was irrational, unrealistic, and plain ridiculous! My financial situation was never anyone else’s burden, and placing the blame and responsibility on others, took away my power to change the situation. Howard University was doing their due diligence, and following federal guidelines and protocol. I was no different than a million other students facing financial difficulties. I know, without a shadow of a doubt, that my family loves and supports me. They would have done anything to help me succeed. If I had come up with an action plan, they would have certainly had my back. As for Oprah, that was a desperate shot in the dark! We often do desperate things when our backs are against the wall. With the abundance of fan mail and requests that Oprah receives on a daily basis, I doubt that my little letter ever made it out of the mailroom! While blaming others provided a temporary cover to hide under for a little while, it did not fix my problems. I had to make a conscious decision to stop blaming others and take full responsibility for me and my situation. When I took responsibility, I was able to let go of the anger and bitterness and pull myself out of rut. When I stopped blaming others, I was able to make new and better choices that changed my life. I completed my education and went on to earn a dual-disciplined master’s degree in marketing and communication. I took back control of my destiny. Remember, you are responsible for you. I encourage you to stop wasting time in your life blaming others for your environment, decisions, actions, and outcomes. Take full responsibility for your life and take control of your circumstances to overcome life’s challenges. Like me, you too have the power to change any circumstance in your life.